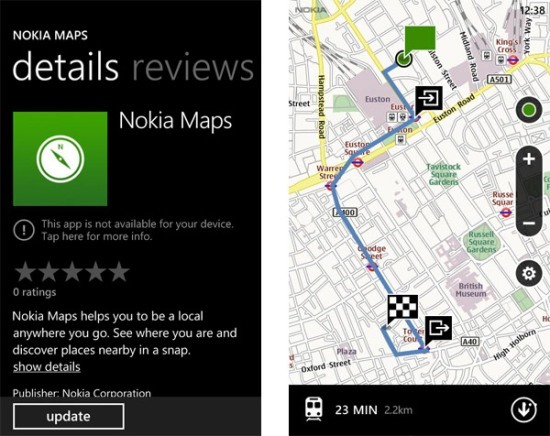 The Nokia Maps app will exclusively be bundled with all the Nokia devices that will run on Windows Phone OS, as it has been happening on the Symbian devices and now a placeholder app for testing is up in the Windows Phone Marketplace. Not many Screenshots of the app are available but the app seems to be looking good and working fine on Windows Phone devices. The application also seems to support all the 22 locales that have Windows Phone Mango update.